An exhibit of Gray's Reef National Marine Sanctuary. 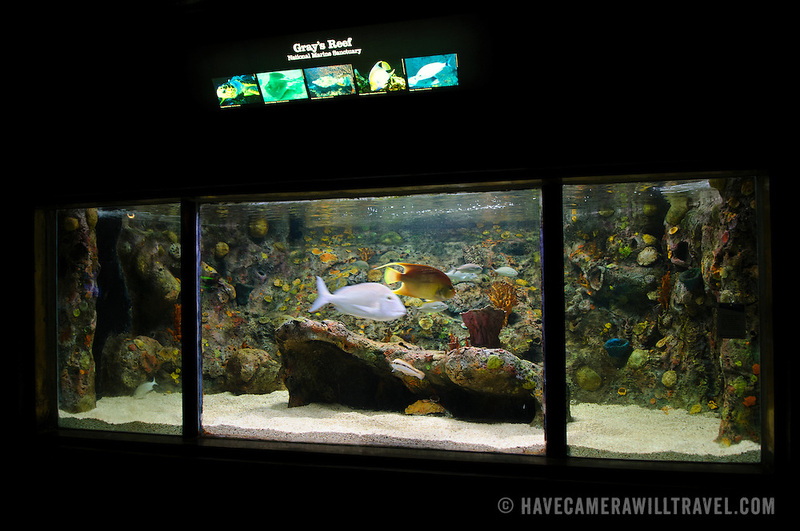 The exhibit is part of Washington DC's National Aquarium. The National Aquarium is in the basement of the Department of Commerce Building, where it has been housed since 1932. Much smaller and less well known than its affiliated facility in Baltimore, Washington's National Aquarium consists of a series of tanks illustrated various types of marine environments, with special emphasis on the many marine sanctuaries in U.S. marine territory.